When a client comes to us with an idea, we’ll return to them with questions. We perform a full evaluation of every customer’s project specifications to develop an idea of how we can best satisfy their needs. During this process, we’ll ask about specifications, concerns, and any unique insights they may have into the issue. We’ll then select the best designers and engineers for the job based on the specifications and desired outcomes. This dedicated team will provide thorough and detailed outlines on how we’ll go about the design and engineering processes. We then send every outline, detail, and conceptual drawing to the client to review. Once our client is satisfied with the project plan, we procure the necessary materials and get started on the gas turbine silencing project. Why Work With Central Metal Fabricators? Our South Florida location enables us to recruit from a wide pool of skilled workers, meaning that we’re able to grow our staff – and quickly – if needed. This enables us to save on labor costs without sacrificing efficiency. We also enjoy lower freight costs than other producers due to our wide reach throughout the gas turbine industry. What’s more, our procurement strategies mean we’re always sourcing the most efficient alternative materials, which further helps reduce costs while maintaining effectiveness. Working within a tight-knit team, we are able to offer a more personalized experience than larger organizations. We provide hands-on consulting to each of our clients, delivering solutions optimally tailored to their needs. We make ourselves available because we’re passionate about our projects and how they’ll benefit our clients’ bottom line. We consider our turnaround speeds as a significant point of pride here at CMF. Even if it means adding a second shift, we’ll always ensure that we deliver our projects on time. Central Metal Fabricators strives to make every project as smooth, straightforward, and budget-friendly as possible. This is why we work so closely with our clients—we use our almost 70 years of expertise to help them achieve optimized turbine solutions without draining resources. To learn more about Central Metal Fabricators or to find out how we can make your gas turbine silencer project a success, contact us today. Initially, ethanol seemed like a good idea, presented as a viable and renewable alternative fuel source. Unfortunately, the corn-based biofuel has not lived up to environmental expectations and may present more significant challenges. Ethanol blends produce air pollution, reduce fuel efficiency, increase corn and related food prices, and potentially cause engine damage to the vehicles which use them, according to this year’s report from the Environmental Protection Agency. Approximately 90 million acres are used annually for growing corn, with more than 40% dedicated to producing corn-based ethanol. This increased demand for corn cultivation creates a lack of biodiversity, deforestation, and competition for land. Emission impacts of ethanol production and distribution should include considerations for volatile organic compounds, particular matter, and nitrogen oxides. Growing corn requires water, and the increased demand for corn-based ethanol is stressing aquifers and surface watersheds. Biofuel feedstocks negatively impact soil and water quality through erosion, loss of nutrients, and excessive use of chemical fertilizers and pesticides. Due to genetic modifications, herbicide-resistant feedstock, and associated herbicides, cultivation practices within the biofuel industry are creating herbicide-resistant weeds. Encourage, incentivize, and promote conservation and sustainability in agriculture. At Central Metal Fabricators, we see the value in environmental care, EPA guidelines, and appropriate actions for conservation. As a leader in gas turbine silencing equipment since 1948, CMF produces a wide range of products used by both the standard fuel and biofuel industries. To learn more about our initiatives and expansive line of products, please contact us. Stay current with the latest industry trends by following our blog, Twitter, and connecting with us on LinkedIn. Created in 2012 by the Fabricators and Manufacturers Association, National Manufacturing Day has garnered nearly 600,000 participants within the manufacturing industry, including more than 267,000 students. As a proud industry contributor since 1948, Central Metal Fabricators welcomed the annual event on Friday, October 5, 2018. Supported and produced by organizations such as the Manufacturing Institute (MI), National Association of Manufacturers (NAM), and the National Institute of Standards and Technology (NIST), National Manufacturing Day helps in-field experts illustrate modern business realities to local communities. NMD dispels any stigmas and misconceptions about today’s trade. Plant, warehouse, and lab tours give the general public a look at what goes on behind facility walls—a much different shop floor from what is commonly perceived. The manufacturing industry exclaims that “this isn’t your grandfather’s factory anymore!” Modern technology on the shop floor shows how drastic advancements in the industrial sector have actually come over the past several decades. Not only do raw material production, engineering, and construction contribute to a global and national circular economy, but they also serve as generous career paths for any persons interested in pursuing STEM and STEM Education careers. Survey results from previous National Manufacturing Day advents show that increased awareness is helping to improve the public’s perception of manufacturing. Nearly 90% of both teachers and students who participated said they felt more aware of manufacturing jobs in their communities, and 64% of students claim they were inspired to pursue a manufacturing career. Since 2017, manufacturing has been on the rise and is continuing to see increases in capital equipment expenditures and hiring. Astonishingly, more than 320,000 new manufacturing jobs in a 12-month period between 2017 and 2018 have been created. The state of the manufacturing industry is expected to continue to see a positive return. The MAPI Foundation predicts a full output recovery from the great recession of 2008-2009 by April of 2019. With seven decades of experience in American manufacturing, Central Metal Fabricators stands strong in supporting the efforts of National Manufacturing Day that ushers in a renewed strength and vitality to our critical industry. As a leading producer of gas turbine silencing equipment, we applaud National Manufacturing Day and its efforts to drive continued awareness. Notable and persistent efforts like those behind the National Manufacturing Day are crucial to improving our industry’s brand image – an indispensable and “survival of the fittest” business tactic. Stay in touch with industry trends and manufacturing news by following our blog, Twitter, and LinkedIn. For more information on our products and services, contact us today. Around the country, nuclear plants are in the midst of the threat of being shut down. From New Jersey and Pennsylvania to Ohio, workers are concerned about the loss of good employment, high paying jobs, and the need to move to find work. The benefits of nuclear power are many; it is efficient, clean, and inexpensive. It keeps the economy going by providing affordable energy and employing thousands of skilled workers. Currently, the U.S. is the world leader in producing nuclear energy. 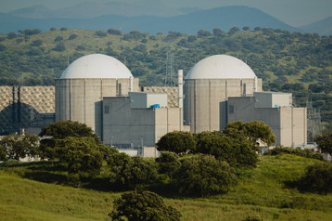 In a recent study done on potential nuclear plant closures, the study found that annual emissions of CO2 would dramatically increase, upwards of 20 million metric tons. NOx and SO2, both of which are harmful to the air, would also increase. For consumers in the states impacted, the cost of electricity would considerably jump up. Residents in Pennsylvania would see an overall increase by $285 million while Ohio natives would see a $400 million increase. If/when nuclear energy is back burnered, it will be replaced by another form of energy, that likely of natural gas. FirstEnergy Corp., which is linked to many of the plants facing closure, has asked the Federal Government for a “202-C” grid emergency in an effort to keep the plants afloat after filing for bankruptcy earlier this year. Opponents to the grid emergency cite it as a bailout for a company that has been mismanaged. Rick Perry, U.S. Energy Secretary, does not seem to be interested in the 202-C option, but is looking at other options to help FirstEnergy Corp. and its employees. At Central Metal Fabricators, we’re closely following what’s happening in the U.S. with nuclear power plants. We are a leading manufacturer of industrial products, dampers for gas turbines, boiler accessories, boiler casings, busbars, steel hoppers, dampers for turbine enclosures, and tanks for storage, exhaust, and inlet silencers, exhaust plenums, filtration systems, enclosure panels & doors, exhaust diffusers, turning vanes, vandal-rain-snow roof/guards, exhaust stack eductor assemblies, and acoustical-thermal panels, turbulators and turning vanes. We offer engineering design services for sheet metal fabrication, replacement of parts and flux core arc welding, gas metal arc welding and shielded metal arc welding services. For more about CMF, we invite you to read our blog, connect with us on LinkedIn, and follow us on Twitter. To find out more about how we can help you with your next project, we invite you to contact us today. Established in 1996 as an annual occurrence, this year National Safety Month will highlight a different safety topic for each week in June. Spearheaded by the National Safety Council, the organization is focused on Emergency Preparedness, Wellness, Falls, and Driving. 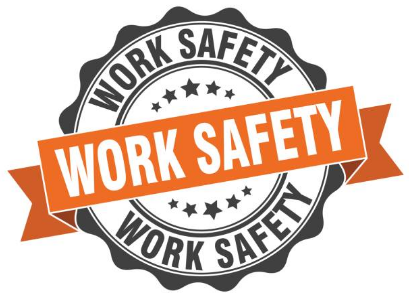 Work safety is of paramount importance, especially in manufacturing plants. When accidents occur, employees are left to file workers’ compensation claims. Preventable mishaps lead to higher insurance costs for employers, and lost productivity on the floor. Thus, employers have an obligation to promote work safety among workers and colleagues. Central Metal Fabricators, Inc. takes employee safety seriously. Our internal safety programs cascade the latest safety standards to our personnel through video demonstrations screened during monthly meetings. Moreover, CMF runs drug-free testing for all employees upon hiring. Initial screenings help to avoid the potential pitfalls and consequences of plant machines run by any worker under the influence. Given that manufacturing equipment can prove potentially harmful to distracted employees, the importance of this program cannot be underestimated. In addition, CMF runs continuous training programs for employees tasked with handling possibly dangerous equipment such as press breaks and large metal-bending machines. Our most experienced employees are assigned to these machines, minimizing the dangers of accidents that may be caused by a less experienced hand. CMF also provides safety equipment to minimize potential injuries during work. For example, our team enforces the use of automated safety helmets. Face shields protect vision and any potential eye damage to welders using our welding machines. Founded in 1948 and headquartered in Miami, FL, CMF manufactures gas turbine silencers, gas turbine silencer components, and provides gas turbine silencer services. 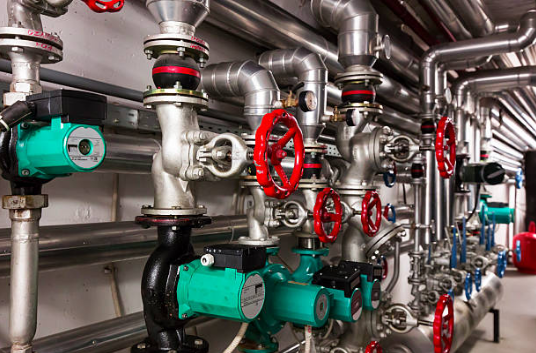 Our other industrial products include dampers for gas turbines and turbine enclosures, boiler accessories and casings, busbars, steel hoppers, storage tanks, filtration systems, enclosure panels and doors, and acoustical-thermal panels, turbulators, and turning vanes. We also provide engineering design services for sheet metal fabrication, parts replacement, flux core arc welding, gas metal arc welding, and shielded metal arc welding services. Remember to follow our blog, Twitter, and LinkedIn to stay up to date on current industry news. For more info on our products, services, and safety, contact us today. In the 1970s, America and the world at large took notice of the havoc being wreaked on the environment. The importance of fundamental requirements like clean air and water became a global initiative. Although Earth Day began almost 50 years ago, waste production in the U.S. consumes 25% of the world’s yearly quota of resources. 40% of American lakes are deemed too polluted for fishing or swimming. Each year 1.2 trillion gallons of untreated waste is dumped into U.S. waters. Today, the global phenomenon is celebrated on April 22nd, bringing a wake of awareness in its path. The countdown to Earth Day includes nationwide conservation with school and businesses focusing on improved pollution projects throughout and beyond April. 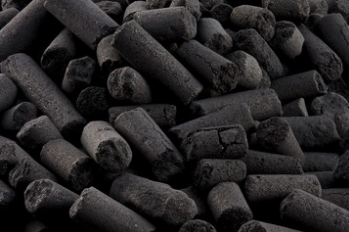 As a leading manufacturer of boiler and turbine accessories, we work with two different kinds of pollution: noise and standard. Since 1948, Central Metal Fabricators has been specializing in gas turbine silencing equipment. We design and manufacture products and parts for use with combustion turbine units. A look back at the history of combustion turbines would include an incredible amount of noise, considered pollution to those stationed nearby. Today, our team works to combat noise pollution by producing top-of-the-line silencing equipment. This April, we’re happy to bring attention to the multiple types of pollution that our industries face across the board, in the best attempt to harvest conservation efforts and prevent the variations of air pollution in a multitude of surroundings. To stay up-to-date on the latest in the manufacturing industry, turbines, and more, continue to follow the CMF team on Twitter and LinkedIn. For quote inquiries, contact us today. Gas turbines are efficient machines for transferring fuel energy into mechanical energy. This involves using compression and combustion systems, as well as turbines. To better understand how gas turbine power plants work, you must understand the primary sections and how they break down. One of the gas turbine’s main components is the compressor. It pulls in air and compresses it using rows of blades along a shaft. The air pressurizes more with each row it passes. The shaft connects and rotates along with the main gas turbine. Next, the air moves from the compressor into the combustion system. In this process, the air mixes with fuel injectors built into the combustion chambers. Combustion results in very hot temperatures and a pressurized gas steam that goes through the turbine with a high level of energy. Most energy conversion happens in the turbine system. It features rows of aerofoil-section blades attached to the shaft that gets rotated by kinetic energy from hot gases. The rotating blades spin a generator to create electricity. It also encourages the compressor to inhale more air into the combustion area. Electricity is produced when the turbine shaft connects to a generator. Industrial gas turbines are widely used in manufacturing. The turbine is picked according to the engine, effectively generating electricity via the compressor, combustor, and turbine. Over time, gas turbine power plants have become dependable conversion objects. Their performance depends on factors such as the pressure of the moving air (from compressor to combustion system), the temperature of the hot gas (leaving the combustor), and the exhaust gas temperature (escaping the turbine). Energy conversion efficiencies are complex phenomena. In-depth knowledge of a system is necessary to manufacture parts that are dependable and efficient within the overall plant. Thus, a gas turbine needs to be made with quality parts by experts in the field. Our Central Metal Fabricators team manufactures precise, strong industrial products to use in accordance with combustion turbine units. Our product line includes dampers for gas turbines and gas turbine enclosures, enclosure panels and doors, exhaust diffusers, and more. Our reputation for crafting gas turbine silencing equipment dates back to 1948. At CMF, we also assemble and install parts properly for your convenience. Stay up to date with Central Metal Fabricators, Inc. by following us on LinkedIn and Twitter, as well as our blog. 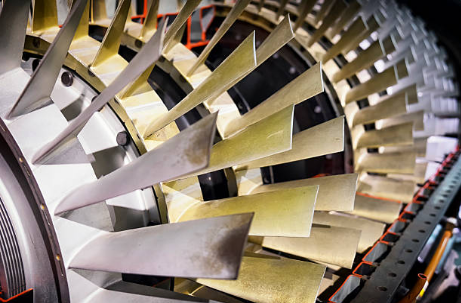 For your gas turbine plant-related projects, find out how our products can have a positive impact when you contact CMF today. A boiler is not sensational. A steam turbine doesn’t sound revolutionary. But the duo keeps most of the industrial world ticking. 2018 will be a positive and stable year for these key industries. With strong growth will come the promise of new jobs. The anticipated turn-around of the state of manufacturing in the country may just be evinced in their numbers. The turbine industry in the US is valued at a whopping 17 billion dollars and the market keeps expanding by 3.4% every year. With the question of green and clean energy receiving a lot of attention, a major reason behind the escalating turbine momentum is the eschewing of coal-based power plants. Electricity requirements are expected to peak over 2018 to 2025. But the concern for the environment means power suppliers will try to balance fossil fuel output with clean and renewable output. Plants that run on natural gas offer a sustainable alternative. The iconic Disney trains that circle the amusement park are driven by boilers which consume a soy-based biodiesel. And many other public attractions have been inspired by this creative effort on part of the brand. There are hardly any factories in the US where hot water boilers do not have the responsibility of seeing operations to completion. Even the HVAC systems in homes depend on chiller boilers to maintain desired ambient temperatures. Thus it’s no small wonder that the global boiler market is all set to touch a record high of 11.6 billion dollars in 2018. The strictly industrial segment is smaller at $803 million, but even this niche will experience growth of 2.8% by the end of the year. Lauded as a quality manufacturer of dampers for gas turbines, boiler accessories, boiler casings, busbars, steel hoppers and dampers for turbines, the positivity that’s on the horizon for the turbine and boiler markets also promises to make 2018 significant for Central Metal Fabricators. We’ll continue to develop our existing product catalog and invest in perfecting services like sheet metal fabrication, replacement of parts and flux core arc welding, gas metal arc welding and shielded metal arc welding services. We’re fully equipped to be a reliable partner for the manufacturing industries doing brisk business over the next 12 months. If you are interested in staying abreast of the trends sweeping strategic production sectors, please follow us on the blog, Twitter and LinkedIn. You can also connect with us here for a custom quote.